Compare the latest deals on the iPhone XS with TigerMobiles.com. The latest addition to the Apple line up is a sure crowd pleaser. There’s a fantastic screen, great power specs, a fantastic camera set, and lots more. Is this the iPhone that you’ve been waiting for? 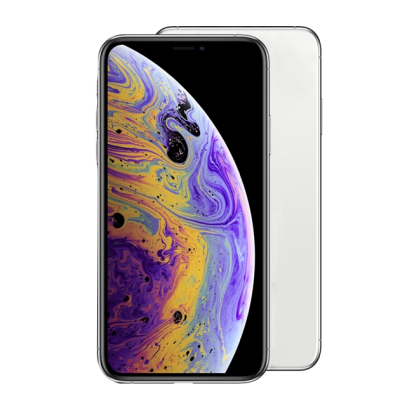 Then check out our awesome deals on the iPhone XS below! Last year, Apple broke the mould by announcing 3 new iPhones, and in 2018 they’ve done it again. An iPhone is a hugely recognisable device and one that customers are willing to pay a premium for. But can Apple really continue to push the boundaries of what we expect to see in a top end smartphone? Their latest releases show that yes, they do still have plenty to offer. The iPhone XS might be only the middle of the three latest models, but it’s still an amazing device. Why should you be looking to get your hands on one? There’s tons of power, there’s a fantastic screen, there’s an awesome camera set, the XS ticks all the boxes and then some. It’s not going to come cheap, but the iPhone XS is an incredible top end mobile. There’s nothing really new here when it comes to design. You get the familiar Apple curves, those sleek lines and a slim profile. A stainless steel and glass build means that the XS is lightweight but sturdy as well, and it definitely feels premium in the hand. Apple might not have changed their design too much, but that’s not a bad thing, the XS looks spectacular. Looks aside, you’re getting some great internals as well. There’s more power, a bigger battery, better screen specs, and better camera specs too. Pretty much everything that you’d be looking for in an upgrade, plus a few new features as well. You’ll be paying premium prices for the iPhone XS, but that’s really to be expected from Apple. This phone does warrant that price tag though, it’s quite simply a fantastic device, and it doesn’t hurt that it looks great too! Apple are notoriously secretive about their power specs, but you’re going to be looking for superb performance at this price point. Fortunately, the combination of hexacore processing, the Apple A12 Bionic chipset, and 4 GB of RAM really does provide that. Speeds are lightning fast, and the XS is very responsive indeed. Obviously, this is an iOS device. Out of the box, you’ll be running iOS 12. Having the most up to date OS version gives you more speeds and security, but also some nice new features. You can now have group facetime, and there are shortcuts for Siri, as well as things like animated emojis and other cool little tweaks. The bottom line here is that performance is excellent. No matter what you’re doing, the XS can handle it. It’s fast, it’s responsive, there’s no lag, no freezing, even the most demanding of users is going to be satisfied. Moving on to that display. And you’re looking at a 5.8-inch screen. Yes, Apple has finally moved away from their smaller screen tradition, so you’ll have plenty of room for typing and viewing, though one-handed use is a little awkward. You’re also getting the newer 19.5:9 screen ratio, in keeping with most newer flagship phones. In terms of resolution, you’re getting 1125 x 2436 pixels, so around 458 PPI, giving you a crisp, clear display with great clarity. This is a Super AMOLED display too, so the colours are vivid, bright and true. It is also a 3D touch display, so you get that short touch and long touch option as on older iPhone models. From HD videos to high-end gaming, the display on the XS is a pleasure to look at. Sharp and bright, there are no complaints here, and this is one of the best displays we’ve ever seen from Apple. For the past couple of years, Apple have really been upping their camera game, and the results are clear when you look at the XS, there’s an amazing camera set here. At the front, there’s a 7 MP, f/2.2 aperture, 32 mm HDR camera, which takes incredible selfies. Moving around to the rear and you’re getting dual cameras. There’s a 12 MP, f/1.8, 28 mm lens, as well as a 12 M, f/2.4, 52 mm lens. That means you’re getting great close-ups and long shots, as well as solid low light capability. Throw in optical image stabilisation, phase detection autofocus, 2x optical zoom, and quad LED dual-tone flash (as well as all the other expected camera features like panorama mode), and you’re onto a real winner. Shots look great on the XS. Whether you’re a pro photographer or an eager amateur, this camera set is one of the best around, and your pics are going to look incredible. There are tons of extra features here, and we really can’t mention them all, but there are some things you need to know. Firstly, the XS is IP68 rated, so it’s dustproof and waterproof in up to two metres of water for up to thirty minutes, always handy if you’re a little accident prone. The headphone jack is still missing, but the XS does offer wide stereo sound, and it’s really a noticeable improvement over the older iPhone X model, with deeper and truer audio. You do get face ID for added security, and some tweaks to this have made it more secure than last year’s rendition. In terms of battery life, you’re getting a large 2658 mAh battery, and that should give you up to 20 hours of active talk time. There’s wireless charging, as well as fast charge tech to give you a 50% charge in 30 minutes. There are three models of the iPhone XS available. Your choices are either 64 G, 256 GB or 512 GB of internal memory. As always with Apple, there’s no SD card slot, so you can’t add any additional memory. You can also get the XS in silver, gold or space grey. This is a top end phone, so prices aren’t low. The good news is that you should be able to order the XS from pretty much any UK operator, meaning lots of contract choices. SIM-free you’re looking at paying £999 for the 64 GB version, £1149 for the 256 GB, and £1349 for the 512 GB model. There are tons of contract deals around, but again, they’re not cheap. You’re looking at paying from around £60 a month, with upfront costs going from around £20. In terms of what you should be looking for, big data plans are always a necessity with iPhones. You’ll be using plenty of data for Siri and with your 4G connection, so go for as much data as you can afford to avoid hefty extra costs later in the month. And you should make sure that your contract is offering 4G data, not just slower 3G. That being said, if you’re constantly on WiFi, you may be able to get some pretty big savings by going with a low data package. When it comes to savings on the cost of the phone itself, don’t get your hopes up. Apple rarely discounts iPhones, even during general sales periods like around Christmas. We’re unlikely to see a drop in price for the XS until next September when the new generation iPhones will be announced. If cost is really a problem, then you’re best off looking at older model iPhones to get savings. If you’re looking for a fantastic phone and iPhones are really your jam, then the XS is going to be a great buy. It’s not cheap, but it’s fast, powerful, and gets great performance. This is likely to be one of the most popular phones of the year, meaning you should get plenty of contract options to choose from. The iPhone XS is definitely a crowd pleaser! Apple’s iPhones are always good looking. But with more and more phones taking on Apple’s design ethic, an iPhone needs more than just good looks these days. Fortunately, the XS really does deliver. Bigger battery life, better screen specs, more power and more internal memory, plus a fantastic camera. What’s not to love here? This is a true top end phone and one that any iPhone fan is going to love just as much as we do.